If you are looking to raise funding for your business, price is likely to be one of your key concerns. We have been able to achieve some big savings in the past for clients. 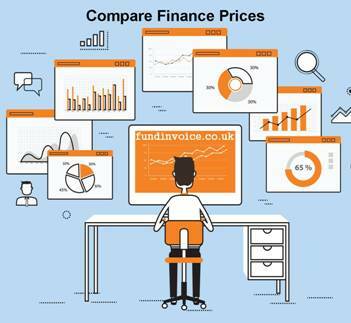 If you are new to invoice finance, please see our free guide which will tell you all you need to know in order to get started. It also has links to some example prices that might be helpful. It explains, in detail, how these products work and how they can operate in the background with a fully confidential nature, if required. In that way they can be similar to banking products. The guide also has links to detailed product information about the vast array of product variations that are available and new variants are coming to market on a regular basis. Only a few days ago, I wrote a blog post about a new debtor backed loan that has been launched, avoiding the need to have any form of "trust account". This is a new bank account, controlled by an invoice finance company, that your customers make payments into. For many companies it is not a problem for their payments to be handled in this way, however this new offering allows you to avoid having to use such a trust account, and hence your existing payment arrangements, with your customers, don't need to be altered. There are also new providers entering this market space on a very regular basis at present. They can often be hungry to acquire new clients, and hence prepared to quote fine rates which can benefit our clients. There are many lenders in the UK so searching the market is essential before you buy.